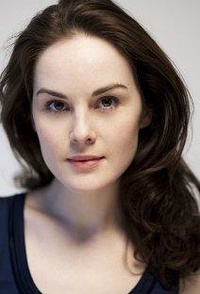 Michelle Dockery (born as Michelle Suzanne Dockery on 15th December, 1981; Essex, England) is the actress who plays Mary Crawley in Downton Abbey. Michelle made her professional debut in a minor role in His Dark Materials at the Royal National Theatre. In 2006 she was nominated for the Ian Charleson Award for her performance in Pillars of the Community at the National Theatre as Dina. She won second prize at the Ian Charleson Awards for her performance as Eliza Doolittle in Peter Hall's production of Pygmalion at the Theatre Royal, Bath which toured the UK and transferred to the The Old Vic on May 7, 2008. Michelle has had roles in The UN Inspector, Fingersmith, Heartbeat, Waking the Dead, Consent, Dalziel And Pascoe, Dying For It, Uncle Vanya, Poppy Shakespeare, The Courageous Heart of Irena Sendler, the Red Riding Quartet, Burnt By the Sun at The National Theatre, Turn Of The Screw and Cranford. Michelle's most notable role was that of Susan Sto Helit the children's governess who is also Death's granddaughter in Terry Pratchett's Hogfather. Michelle has also starred as herself in The Whole Hog: Making Terry Pratchett's 'Hogfather'. Dockery appeared alongside her Downton co-stars Thomas Howes in Anna Karenina and both Alun Armstrong and Iain Glen in The Hollow Crown (all three appeared in Henry IV Part II, while only she and Armstrong appeared in Part I). In contrast to the aristocratic Lady Mary, Dockery's own ancestry is humble in origin, and her great-grandmother was a domestic servant at about the same time period as the series takes place.